Our accommodation is perfectly located for the road cyclist, with great riding in all directions. The plains to the north offer good warm-up rides through rural villages, whilst the hidden valleys of the foothills provide a great introduction to mountain riding. 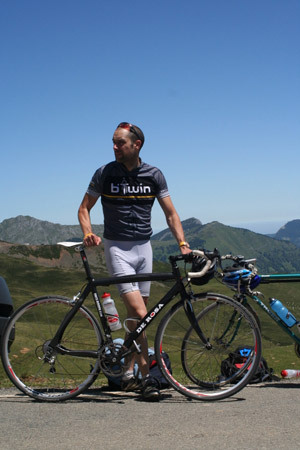 Serious riders, however, will soon be drawn to the legendary Cols. We are within easy riding distance of the many classic climbs and, for the infamous 2,115 m Col du Tourmalet, riders can choose from either the TDF 06 (west) or the TDF 08 (east) routes, both of which pass our drive. The area is renowned for its fantastic cycling. The season starts early March in the valleys and as the snow melts, the Cols beckon and there is plenty of riding to challenge all level of cyclist. Throughout the summer there are numerous events you can sign up for on the day. 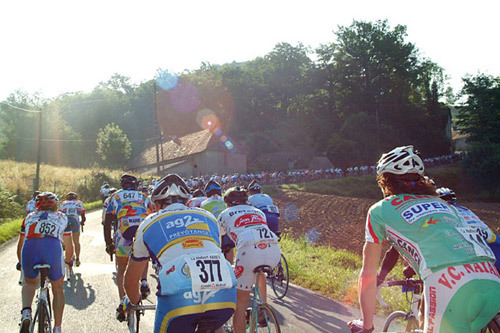 For a real challenge enter one of the local cyclosportives such as La Pyrénéenne. Open to anyone fit enough to take on the Cols and foothills of the Pyrenées, these events are well organised and have a great atmosphere. The unofficial open of Col du Tourmalet with Le Géant making its annual climb. Test yourself on one of 2 courses through the valleys of the Hautes Pyrénées. Ardien Velos are located at Luz-St-Sauveur and offer an excellent range of aluminium and carbon frame bikes. We offer a range of support levels for cycle groups, depending on your requirements. For self-guided rides we provide route advice and laminated maps. Our chambres d'hote is equipped with secure bike storage facilities, and a workshop of essential tools. At the next level, we can offer vehicle support and/or a rider with local knowledge who can accompany you. For cyclo-sportives we will handle your registration, and the logistics of getting you fuelled up and to the start in plenty of time.